We know how important it is to our customers to receive their orders as quickly as possible, wherever they are in the world. That is why we work with two of the UK’s most trusted delivery companies to ensure our customers not only receive their deliveries on time, but also in perfect condition. We aim to despatch all orders* within 1 to 3 working days, meaning the majority of our UK customers will receive their order within 1 to 5 working days from the date of purchasing, with our International customers receiving their order within 3 to 10 working days from the date of purchasing. *For large/bulk purchases of single items, despatch times can range from 1 to 14 working days depending on stock availability and quantities purchased. This applies to both UK and International customers. If you require further information on estimated despatch times and stock figures for particular products please do not hesitate to contact our Customer Service team at enquiries@purelypetsupplies.com. All of our UK Small Parcels (under 2.5kg in weight) are sent through Royal Mail, the UK’s most trusted Letters and Parcels delivery company. To assist you when it comes to the delivery of your order the service we use is a barcoded Royal Mail delivery service which provides delivery confirmation to both you and us upon successful delivery and barcode scan from your postman. Where applicable, International Small Parcels are sent through Royal Mail on either a standard or fully Tracked and Signed delivery service. For further information on prices and delivery service for International orders please view International Delivery below. 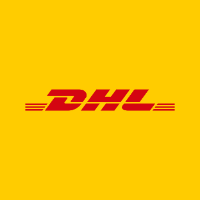 All of our UK Large Parcels (over 2.5kg) and many of our International Parcels are sent with our trusted worldwide courier, DHL Parcel, on a fully tracked delivery service. This means we can track your order from the moment it leaves our warehouse to the moment it arrives at your door for successful delivery wherever you may be. If your order has been sent with DHL full tracking information will be provided from the moment we despatch your order. Tracking information can be viewed by either logging into your account (where applicable) or viewing the despatch confirmation email you will receive once we have sent your order. Alternatively you can contact our Customer Service team at enquiries@purelypetsupplies.com with your Order Number. We are proud to be able to offer nationwide delivery to our customers in the United Kingdom. To ensure safe and reliable delivery of your orders ALL of our UK customer orders are sent on either a fully tracked or barcoded delivery service (as outlined above), with many of our customers receiving their orders within 1 to 5 working days from their date of purchase. Delivery charges start from only £2.50, calculated by the total weight of your order to ensure you receive the best possible value for money. Both Royal Mail and DHL allow orders to be ‘left safe’ for the convenience of the customer. If you have a ‘safe location’ that your parcel can be left in please add this to your Order Notes before checkout. NB: Acceptable safe locations include garages, gated areas, porches, greenhouses, back gardens or similar. Safe locations are adhered to at the delivery drivers discretion – if he/she does not believe a suggested location to be safe this request may be dismissed for the safety and security of the parcel in question. If a parcel goes missing after being left safe as per the buyers’ request, we (Purely Pet Supplies Ltd and the Parcel Company in question) unfortunately are not liable to cover costs replacing or refunding the value of the goods as these have been left safe by your request. 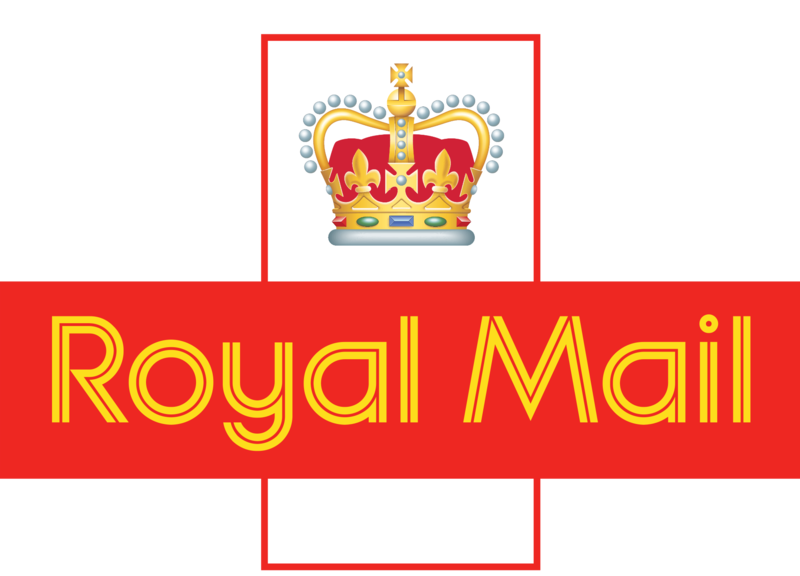 ROYAL MAIL – All orders sent with Royal Mail are sent using a barcoded delivery service. This means that Royal Mail will scan your parcel upon delivery, so we receive successful delivery confirmation for our orders. Should nobody be home at the time of attempted delivery, Royal Mail will endeavour to deliver this to a neighbour if a safe location has not been provided on the order. If they are unable to do this, your parcel will be taken to your local Royal Mail Collection Office and you will be provided with a delivery card through your door advising of the next steps to either collect your parcel or rearrange delivery. Please note, Royal Mail hold all undelivered parcels for a maximum of 21 days before returning these to us. If your parcel is returned back to us, additional charges to which you are liable for may be incurred. If you are experiencing any problems with your delivery or collecting your order please do not hesitate to contact us and we will do our best to assist. DHL Parcel – All orders sent with DHL are fully tracked. This means we can track your order from the moment it leaves our warehouse, to the moment it arrives at your door for successful delivery. Unless a ‘safe location’ has been provided on your order ALL DHL deliveries require a signature upon delivery. DHL will endeavour to deliver your parcel to your address first, followed by a neighbouring address if delivery has been unsuccessful to the intended recipient. If DHL are unable to successfully deliver your parcel on your scheduled day of delivery to either yourself or a neighbour they will take this to your local DHL delivery office and you will be provided with a delivery card advising of the next steps required for access to your parcel, allowing you to either collect or rearrange delivery on a date that suits you. Please note, DHL will attempt to deliver your parcel over two consecutive days. If they are unsuccessful on both days, your parcel will be held for 5 working days before being returned to us. Should your item be returned to us, additional charges to which you are liable for may be incurred. If you are experiencing problems with your delivery or collecting your order please do not hesitate to contact us and we will do our best to assist. As we offer the best prices possible on every product in our shop we do not offer free delivery as standard. Many online retailers will increase their product prices accounting for postage within the sale price of their products, enabling them to offer ‘free delivery’. However, to ensure you get the best possible price and value for money when you buy ANY item from our shop we calculate postage separately which allows us to keep our product prices low and not hide the additional shipping fees that all retailers have to pay when posting out parcels. Our delivery charges are calculated on the total weight of your order, categorised by UK Delivery Zone. An accurate delivery charge will be provided on your order once all items have been added to your basket, with delivery starting from only £2.50. Please select your location on the tabs below to view our postage prices. NB: Unfortunately we are currently unable to offer delivery upgrades on our website. If you wish to upgrade a Royal Mail delivery service to a DHL Express Delivery please contact us with your Order Number and Name as soon as your order has been placed either by telephone or email. One of our Customer Service Advisors will then be able to apply your upgraded postage and take the relevant payment. NB: DHL are currently unable to guarantee a 1 day delivery service to the following postcode areas. These affected postcodes will therefore have a delivery time of 1-2 days, rather than 1 day – KA, KY, ML, TD, AB1-16, AB21-25, AB30, AB39, PA1-19, PH1-3. Postcode Areas: AB31-38, AB40-56, IV1-28, IV30-32, IV36, IV40, IV52-54, IV63, KW1-14, PA21-38, PH4-41, PH49-50, BT. Postcode Areas: IV41-49, IV51, IV55, IV56, KA27-28, KW15-17, PA20, PA41-49, PA60-78, PH42-44, IM, GY, JE, HS*, ZE*. To enable us to offer an extensive and varied selection of products to our customers we have teamed with some of the UK’s most loved pet product manufacturers to offer a Direct Despatch delivery service on a select number of products. These products are not stocked in our warehouse and are instead despatched directly from the manufacturer, straight to your door. All items that are despatched directly from the manufacturer have clear indication on the product listing and will be despatched separately to any other items you may purchase from our stocked/store lines. If you purchase a Direct Despatch item a postage fee will automatically apply to your order as below. Please note we are currently only able to offer Direct Despatch to UK Mainland customers only, and the postage fees in question are non-refundable from ourselves or the manufacturer. Designing for comfort and style for you and your pets, Danish Design has a reputation that reaches far and wide, and are market leaders always delivering super quality products throughout the UK and Europe. Everything they produce is designed by their Danish designer, Susanne Mortensen, who believes that life is too short for second best and that the simple pleasures are often the most rewarding – like sitting and reading, walking the dogs or jumping in puddles just for fun! Her range of pet products are exquisitely designed to provide style, comfort and functionality for any discerning pet and owner. To view their range of products available to purchase, click here. Providing new and exciting products to the dog world since 2011, Doodlebone develop and manufacture a wide range of bright, bold coloured accessories for dogs, originally starting with the Airmesh Harness which is now a firm favourite with dog owners, pet shops and dogs themselves! Encouraged by such kind and positive feedback following the launch of their Airmesh Harness, Doodlebone then began developing a wider range of pet accessories, with their range now including collars, leads and assorted styles of harnesses. They’re all bold, bright and full of personality, just like our dogs, with over 20 different groovy Doodlebone products now available and even more designs in the pipeline! To view their range of products available to purchase, click here. With a mission to continually research, develop, design and source new products that will add benefit to pets, their owners and retailers, Gor Pets continue to invest in the independent retail market working closely with pet owners and pets to meet their modern-day needs. They aim to become the leading supplier of quality, safe, ethical and beneficial pet accessories in the UK, being the company of choice for independent retailers and the product of choice for consumers and their pets. With a belief in supplying only the best quality products at realistic, affordable prices, Gor Pets undergo product testing to the highest standard. They value their relationship with their customers listening to what they want AND what they need, and strive to maintain good stock levels, fast deliver, great customer service, a versatile and reliable product range and quality and a brand name you can continue to trust. To view their range of products available to purchase, click here. Please note all delivery fees for Direct Despatch items are non-refundable from both the manufacturer and ourselves. If you are returning a Direct Despatch item for a refund a product refund only will be issued upon. Fore more information on returning Direct Despatch products please view our Returns and Refunds chart further down this page. Our Click and Collect service is now available Wednesday to Friday, 9am till 4pm, from our warehouse located in Nottingham. If you wish to place an order for collection this can be done either online, over the phone or by emailing enquiries@purelypetsupplies.com. Orders are normally ready to collect within 1-2 working days of your order being placed, but one of Customer Service Advisors will be in touch upon receipt of your order to arrange a suitable collection date and time. Unfortunately as we are a fully operating warehouse and not a shop we are unable to accept walk-in customers to ensure the safety of both our staff and visitors. Our Click and Collect service is only operational on a prearranged basis with the customer. If you have any queries regarding this service, please do not hesitate to contact us. Do you live locally? We now operate a FREE personal delivery service five days a week to all of our local customers in the following postcode areas: NG2 6, NG2 7, NG2 5, NG9 1, NG9 4. If you wish to place an order for personal delivery this can be done either online, over the phone or by emailing enquiries@purelypetsupplies.com. Upon receiving your order one of our sales team will be in touch to arrange a suitable date and time for delivery. Please allow 1 to 3 working days for successful delivery of your order. NB: We are able to leave orders in a ‘safe location’ if required. Please add a note to your order stating your ‘safe location’ prior to checkout. Every order we receive is just as important to us as the next; that’s why we make sure we take care and attention with every product we package in the hope this arrives in perfect condition. Occasionally things can go wrong and it may unfortunately result in your order arriving damaged, faulty or just not suitable for you (e.g. wrong size ordered etc). If you wish to return a product for whatever reason we operate a 14-day return policy allowing either a refund or exchange in most circumstances. Please view the tabs below for further information. Please ensure your item is in its original condition with tags in tact for refunds and exchanges to be processed successfully. Should items be returned back to us not in the condition they were sent Purely Pet Supplies Ltd reserve the right to return these back to you as we are unable to process refunds or exchanges for used goods. We understand all pets have different requirements, so it can easily happen that you order an item and it turns out to be the wrong size for your pet, it doesn’t fit or your situation has changed and the product is no longer needed. If you wish to return your item(s) for a full product refund due to any of the above reasons please follow these simple steps below. If you wish to exchange your item, please view the tab titled Return for Exchange. We will authorise your return within 2 working days providing you with our return address and an allocated RMA number (Returned Merchandise Authorisation) allowing our team to match your return up with your original order quickly and efficiently preventing any delay with refunds once your item(s) have been received back. Once your return has been received back relevant refunds will be issued within 48 hours to your PayPal account or Credit/Debit card. Unfortunately we are unable to issue credits rather than refunds. NB: We recommend all returns get sent on a fully tracked delivery service, as we cannot be held responsible for items going missing. We also recommend that you obtain Proof of Postage from your chosen courier, to enable you to make a claim should this be required. This is free of charge with any courier, confirming dispatch of your item(s). If you are returning your order using Royal Mail, please ensure YOUR address is clearly stated on the package should Royal Mail need to return this to you. It can happen where you order an item and it’s the wrong size or it doesn’t fit and you need to exchange it for a different size. If you wish to return your item(s) for a similar product, please follow these simple steps below. If you require a return for refund please view the previous tab titled Return for Refund. We will authorise your return within 2 working days providing you with our return address and an allocated RMA number (Returned Merchandise Authorisation) allowing our team to match your return up with your original order quickly and efficiently preventing any delay with processing your exchange once your item(s) have been received back. Once your return has been received back we will be in touch to arrange the exchange of your product(s). If any refunds are required with your exchange these will be processed upon us dispatching out your replacement item. If any payments are required from yourself for your exchange we will contact you when we receive your return back to take payment for the new item you require. All exchanges are processed in our warehouse within 48 hours of receiving them back, and you are liable for any postage charges incurred for exchanges. *Failure to provide us with the above product information for a refund/exchange within the two working days may mean that refunds or replacements cannot be provided unless the product comes complete with a warranty or guarantee supplied by the manufacturer or at the discretion of Management at Purely Pet Supplies Ltd.
Whilst we endeavour to be able to replace any faulty or damaged item, on occasion regrettably this may not be possible due to stock issues, quality concerns or other factors. If we are unable to provide you with a replacement product we will arrange for either a partial or full refund to be issued. Should we require the faulty or damaged item back a prepaid returns label will be provided to you at no cost to ensure free returns on the item(s) in question. Please note we may require your faulty or damaged item back, as would any retail shop. Please DO NOT dispose of faulty or damaged goods unless you have been instructed to by our Customer Service team. If you have disposed of goods that you may require a replacement or refund on before we have confirmed it is suitable to do so we are unfortunately unable to action any resolution. If you have purchased an item that has been despatched directly from the manufacturer through our Direct Despatch service please note that returns information does vary slightly from that of stocked items in our shop. Unfortunately we are unable to offer exchanges on items from our Direct Despatch range, and items are only returnable for a full product refund. If you wish to return a Direct Despatch item from any of our linked manufacturers please follow these simple steps below. We will authorise your return within 2 working days providing you with the relevant return address and an allocated RMA number (Returned Merchandise Authorisation) allowing our team to match your return up with your original order quickly and efficiently preventing any delay with refunds once your item(s) have been received back with the manufacturer. We will also notify the manufacturer that you are returning the items stated and provide them with the RMA number you have been allocated. Upon receipt of your return the Manufacturer in question will notify us of the relevant RMA number allowing us to issue any relevant refunds to you for your return. Please ensure items are returned in their original condition with tags in tact as failure to do this may result in the manufacturer rejecting your return and sending this back to you if it does not meet expected condition. We are now able to offer worldwide shipment using our two trusted couriers, DHL International and Royal Mail. Prices vary dependent on the weight of your order and your location. All DHL deliveries are sent fully tracked allowing us to track your order from the moment it leaves our warehouse to the moment it arrives at your door. Many of our Royal Mail deliveries are also sent either Tracked, Signed or Tracked and Signed depending on the services available in your country. International delivery charges start from only £9.40, calculated by the total weight of your order to ensure you receive the best possible value for money. We aim to despatch all orders within 1 to 3 working days, with many of our International customers receiving their orders within 3 to 10 working days from the date of purchase. For large/bulk/trade purchases, despatch times can range from 1 to 14 working days depending on stock availability and quantities of single items purchased. If you require further information on estimated despatch times for bulk ordering or stock figures available for particular items please do not hesitate to contact our Customer Service team at enquiries@purelypetsupplies.com. Our International postage prices vary dependent on the European Zone your country falls under. To be able to provide clear, easy to understand International pricing, please locate your country in the Zone List below and view the relevant Zone Tab for prices. Please note, investigation into and payment of potential customs charges are the responsibility of the buyer. Delivery times outlined below are a guideline only and not guaranteed delivery times. Zone 4 – Balaerics, Bulgaria, Greece, Norway, Romania. Please note, delivery times below exclude Greece, which has an approximately delivery time of 6-10 days. Zone 5 – Andorra, Bosnia & Herzegovina, Estonia, Gibraltar, Latvia, Lithuania. We are proud to offer trusted Worldwide Delivery Service to our customers with DHL and Royal Mail couriers. Please note, investigation into and payment of potential customs charges are the responsibility of the buyer and we cannot be held responsible for any change in customs charges, rejection of parcels at customs and parcel returns. The prices quoted below are subject to change from our chosen couriers, with delivery times being a guideline only. If your country is not listed below, please contact us with the above information for a postage quote. Unfortunately we are currently unable to provide Large Parcel shipping to this location. Melilla only. For Mainland Spain see Europe pricing. Every order we receive is just as important to us as the next; that’s why we make sure we take care and attention with every product we package in the hope this arrives in perfect condition. Occasionally things can go wrong and it may unfortunately result in your order arriving damaged, faulty or just not suitable for you (e.g. wrong size ordered etc). If you wish to return a product for whatever reason we operate a 14-day return policy* allowing a refund upon return. Please view the tabs below regarding returns. *please note, if your order arrives damaged or faulty please contact us within TWO WORKING DAYS (view full details under FAULTY OR DAMAGED ITEMS tab below. NB: We recommend all returns get sent on a fully tracked delivery service, as we cannot be held responsible for items going missing. We also recommend that you obtain Proof of Postage from your chosen courier, to enable you to make a claim should this be required. This is free of charge with any courier, confirming dispatch of your item(s). Unfortunately we are unable to offer exchanges on international returns. Whilst we endeavour to be able to replace any faulty or damaged item, on occasion regrettably this may not be possible due to stock issues, quality concerns, customer location or other factors. If we are unable to provide you with a replacement product we will arrange for either a partial or full refund to be issued. Should we require the faulty or damaged item back a prepaid returns label will be provided to you at no cost to ensure free returns on the item(s) in question. MY ORDER HASN'T ARRIVED YET. WHAT DO I DO? If you haven’t received your order or order dispatch confirmation within 7 working days of you placing it, please contact us immediately so we can investigate this for you with our couriers. It may just be the postman has been held up delivering your order as there are unfortunately many factors that can delay mail, so please be patient. Whatever happens, we can resolve your issue. Whilst we make every effort to deliver all your goods in the agreed time, we will not be liable if we fail to do so in part or in full due to circumstances beyond our control. Returns are processed on a daily basis within our office, Monday to Friday 9am till 4pm. We aim to process all returns within 48 hours of receiving them back ensuring all the relevant information is within the parcel, resulting in a refund or exchange depending on your request. Please note, refunds are subject to standard bank clearing times and dependent on the method of payment you have used and to which we have refunded, refunds may take up to 7 working days.